A visit to see Santa Claus is an essential part of Christmas preparations for many families. 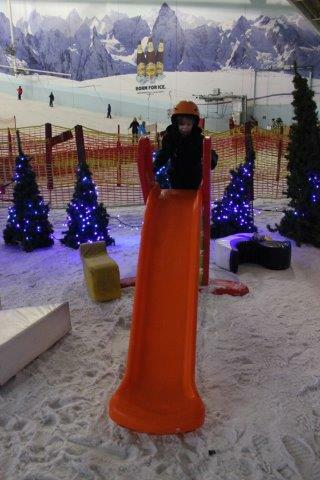 This year we stepped the tradition up a notch by visiting Santa in the ‘real’ snow covered wonderland created at Chill Factore in Manchester. 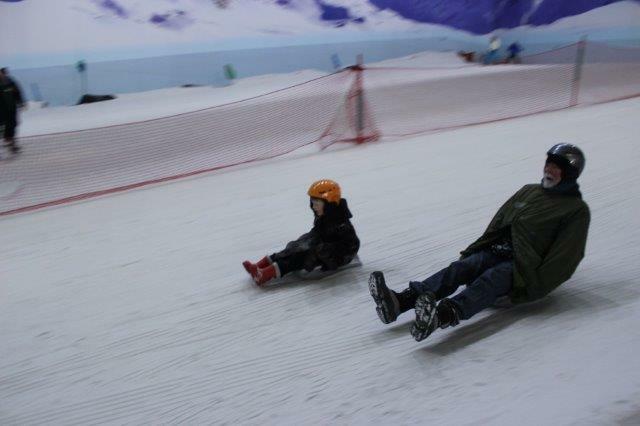 We even indulged in a sledging session to ensure we were truly in the festive mood. We’ve never visited a snow dome before and I have to confess it’s several years since I last took to the seat of a sledge, so I was somewhat apprehensive as we arrived. After navigating the slightly confusing car park (signage was small and we ended up accidentally parking in the overflow area) we walked into the building not really knowing what to expect. As a family we’d dressed in warm clothes with gloves, however you can hire a set of waterproof clothing for £6 in the changing village. Snowboots and helmets are available free of charge which was great for the kids but my Dad had to swap his pair as they were wet on the inside! I wore my own wellies and didn’t find they hindered me at all, so that’s definitely an option if you’d rather wear your own footwear. Next we made our way to the waiting area where our instructor met us bang on time. I’ve completely forgotten our instructor’s name but she was absolutely wonderful! She talked the kids through the basics of using their sleds and off they went… expect my youngest had a complete meltdown at the top of the slope and was terrified. The instructor coaxed him onto a sled and took him down slowly with her hand firmly attached to the side. Unfortunately his brother had other ideas and against safety protocol decided to come down straight after and knocked my youngest over. No one was hurt but as you might imagine my youngest was not going to be convinced back onto the slope and I worried that his afternoon had been ruined. Unfazed our instructor asked if he would like to go into the snowplay area instead and he had a wonderful time in a much smaller environment. Both my Dad and myself were rather apprehensive about sledging but jollied on by the children we gave it a whirl and had a fantastic time. In the wild (aka outside) I’m always nervous of sleds hitting rocks or tumbling out and whacking my face. 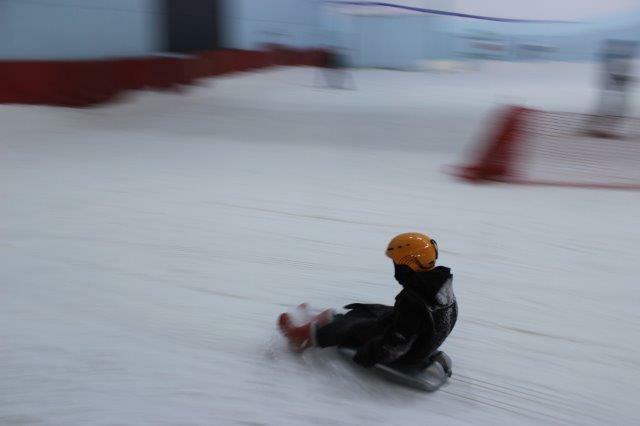 In the controlled environment of Chill Factore with the safety equipment and instructors on hand it’s easy to enjoy an activity like sledging as if you were once again a care free child, purely enjoying the thrill of racing down across the snow. Our time was up before we knew it and we made our way back out to the changing area before walking over to see Santa. 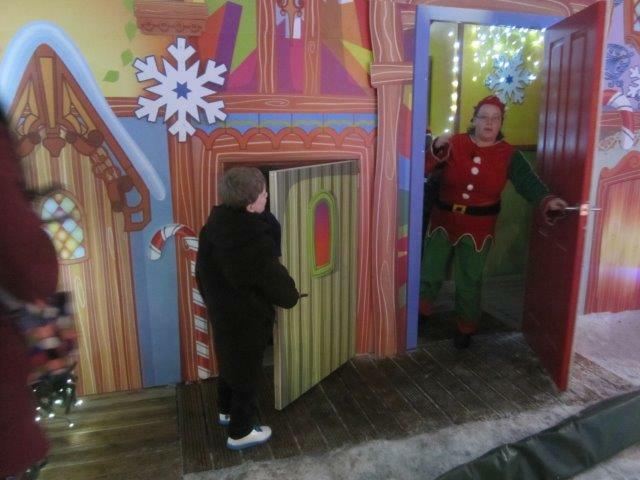 Santa’s grotto is located in the snowplay area and as you walk towards the door his elf pops out to greet you. Santa himself was attentive and friendly, however his grotto is teeny tiny and fitting everyone in was cosy to say the least. Santa made time to talk to each of my children and they all left feeling very excited. You can’t take photos inside the grotto but Santa has his very own camera to catch the special moment which you can then buy for £3. There are also several other photo packages, we were given a snow globe photo frame and large print which would normally cost £15. 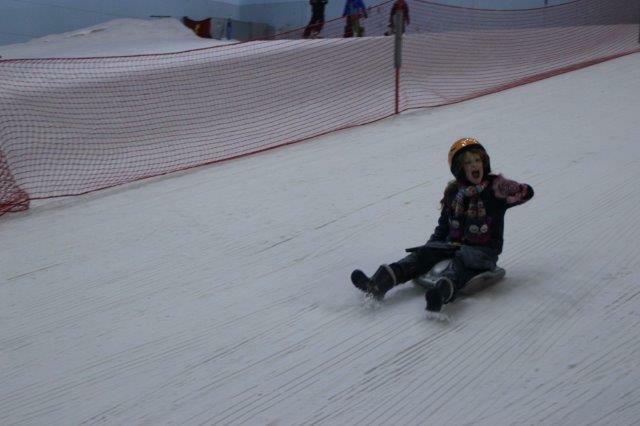 We had a fabulous time at Chill Factore and can’t wait to go back, my son would like to learn to ski and this seems like a great location to give it a go. The thing that really struck me about our visit was how much I felt we hadn’t merely had a day out, we’d had a real experience to treasure and remember! The staff were all extremely attentive and friendly and obviously enjoy their work, children are welcomed and catered for as well as adults. It’s a great family location and it’s definitely worth a visit if you’re looking to get into the festive spirit! 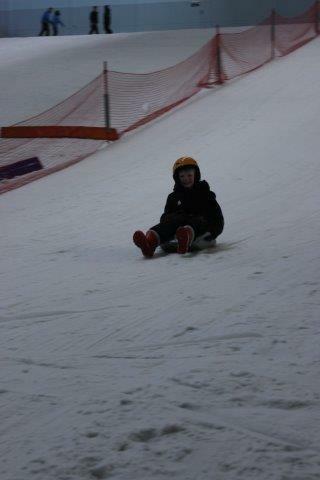 To find about more about Chill Factore or to book visit their website here. 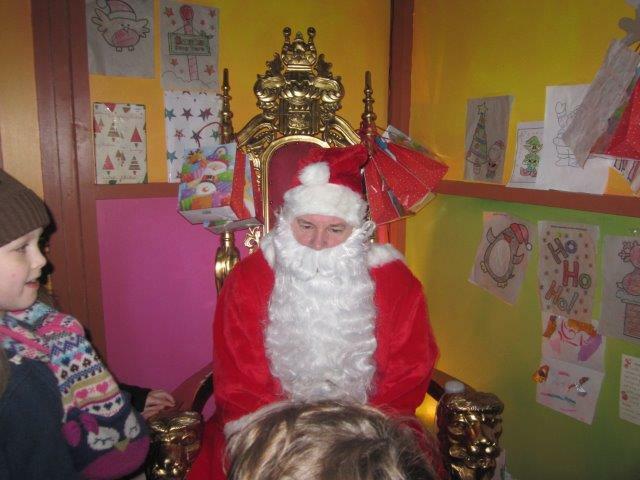 Full details of Santa’s grotto area available here.